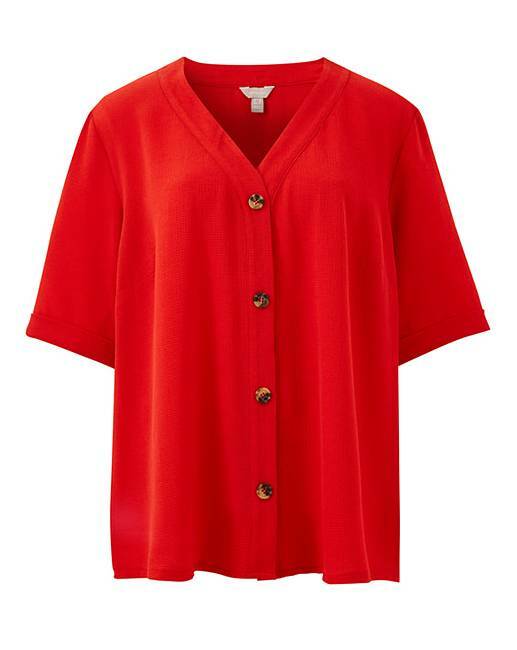 Red Button Front Blouse is rated 4.0 out of 5 by 3. Look great in our button front blouse. The blouse is fashioned from mock horn buttons to the front, and is available in two colourways. Features short sleeves and is fashioned from a textured fabric. The blouse is a great option for the perfect stylish daytime look. Rated 5 out of 5 by TINA from Beautiful top Ive already got this in the black, had to have red too. Great value for money. Good material. Will say I went up a size.